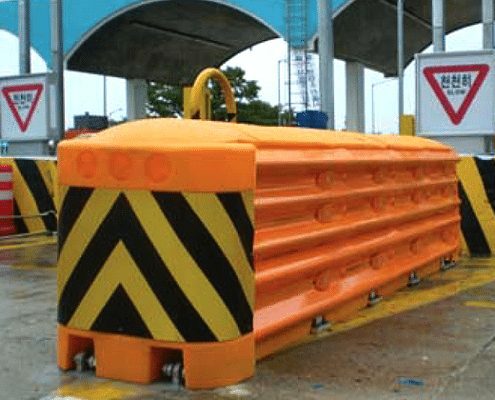 What is the Crash Cushion System I (CCSI)? 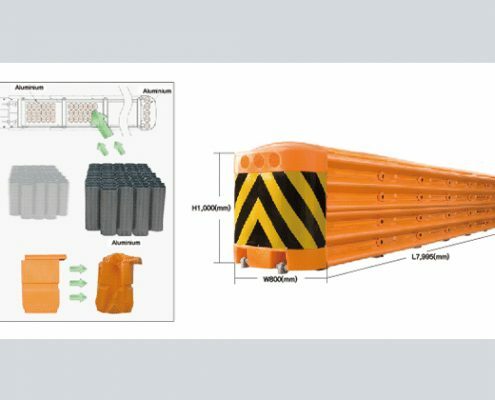 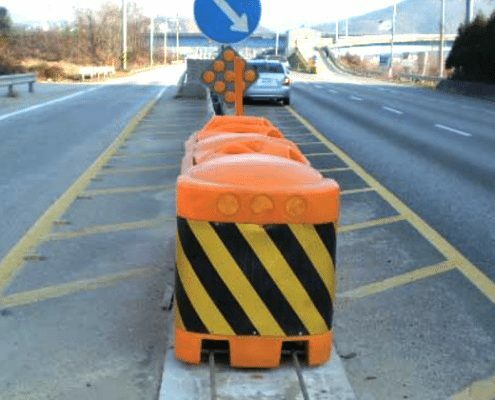 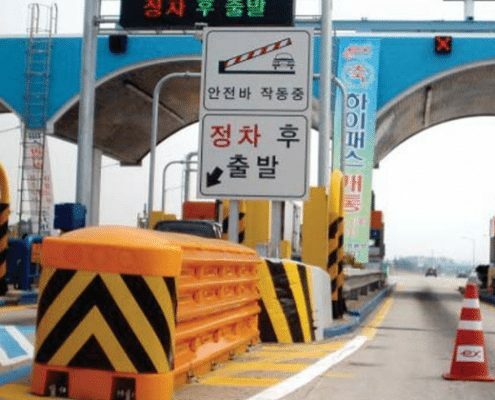 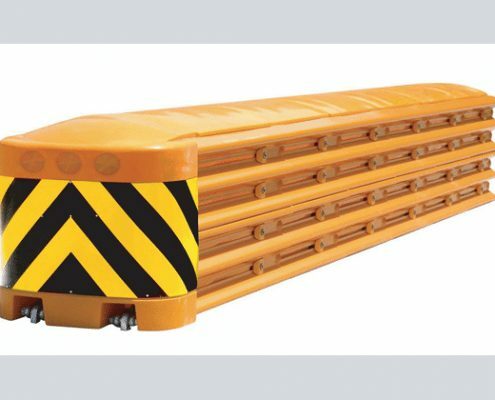 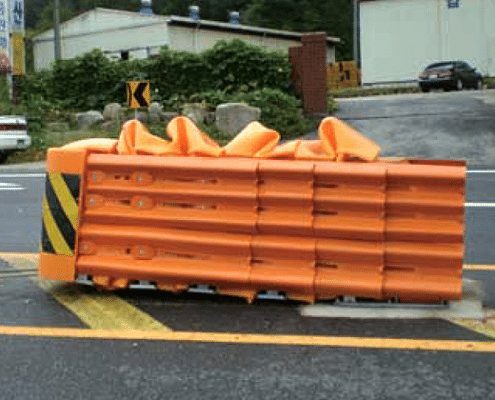 The CCSI is a piece of equipment installed in highway intersections and accident-prone areas to protect a driver and a car by absorbing impact energy when impact. 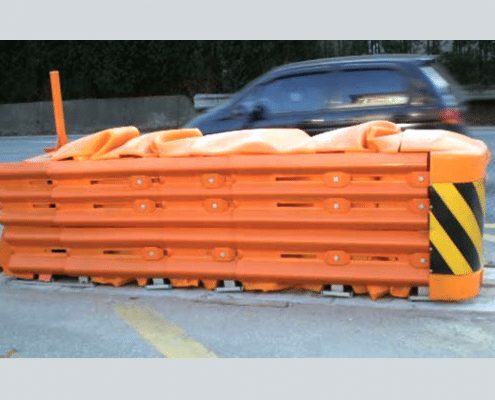 CCSI is designed to protect motorists in a vehicle (900kg to 1500kg) and vehicle itself by effectively absorbing shock on impact. 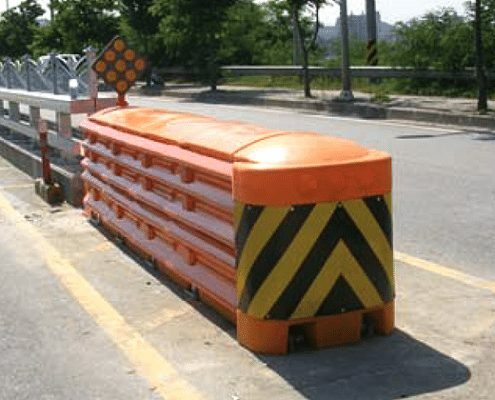 CCSI also redirects the vehicle away from the hazard such as roadway machinery and workers. 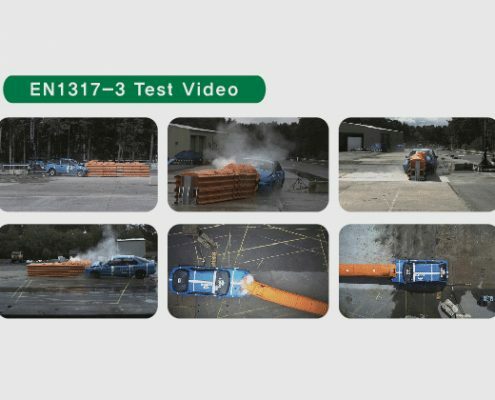 Shindo’s CCSI has been tested at TRL, UK as a redirective crash cushion for the maximum speed of 100km/h conforming to EN1317-3 standards.